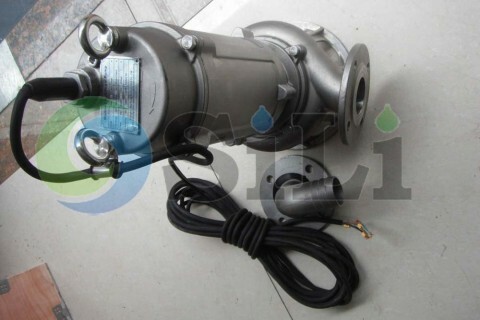 CQX marine submersible pump is special marine sewage pump, whose impeller is no-clogging type(big channel type). 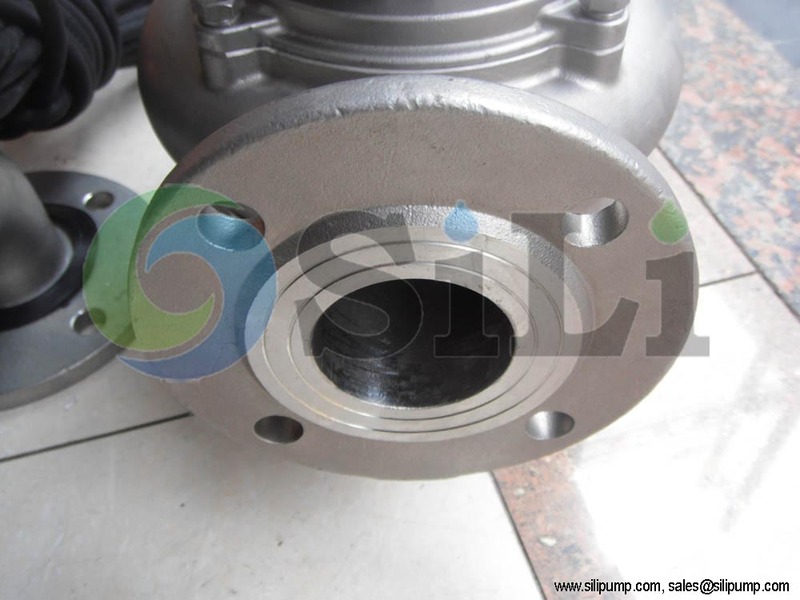 And this centrifugal pump is submersible insides the water, so it is a marine centrifugal pump without suction flange request. It can be used as marine bilge pump, marine emergency pump (or marine fire pump) and so on. With high level motor IP68 and totally water-proof cables, the CQX marine submersible pump is suitable for the submersible water application. It is a portable type, so it is widely used in marine and offshore industry for emergency purpose. 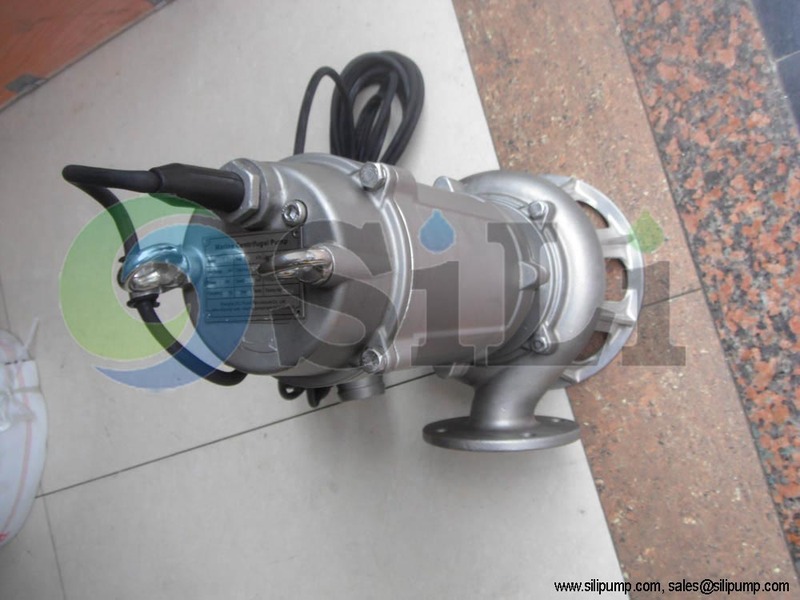 SILI PUMP can supply two material optional CQX marine submersible pump, one is in bronze material; and another one is in stainless steel material. 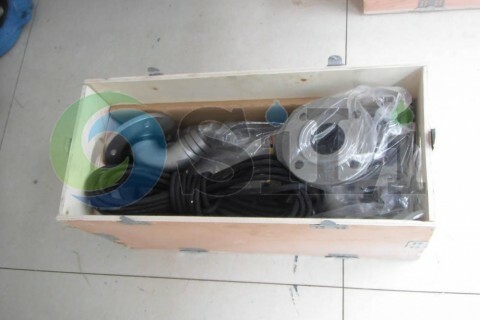 For this case, all CQX marine pump is in stainless steel type(SS304 standard). It is used for the emergency pump on board some tug boats for the end-users. The SILI CQX marine submersible pump is also called CQW or QW submersible pump sometimes. 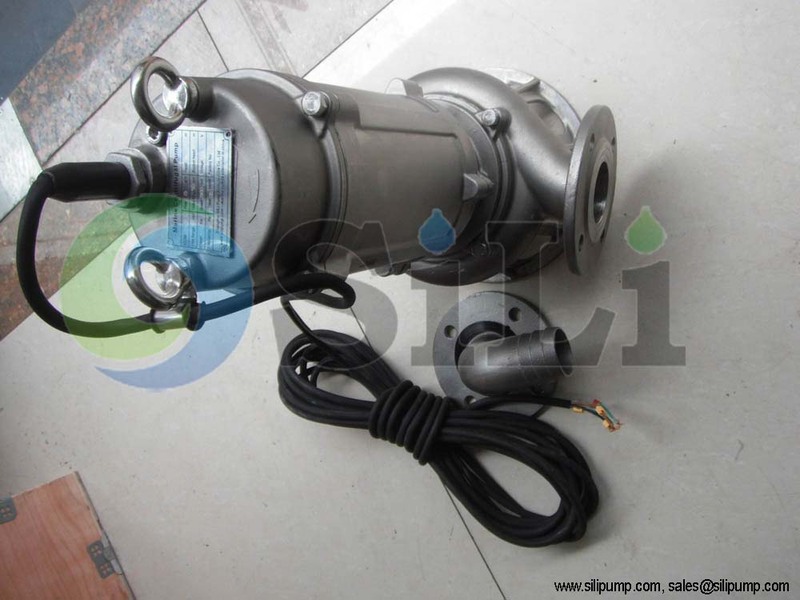 It is a kinf of submersible centrifugal sewage pump, with non-clogging impeller, and portable design. 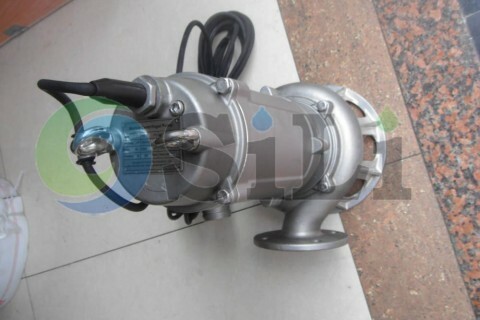 This centrifugal marine pump is mainly used for sewage bilge, fire fighting, deck-wash and emergency flood water for marine and off shore purpose. CQX submersible pump is suitable for sewage, bilge and oily water, max liquid temp 60 C degree, maximum diameter of the solid grain 50% of that of the pump outlet flange Max liquid temp 60 C degree, Max S.G. 1200kg/m3. 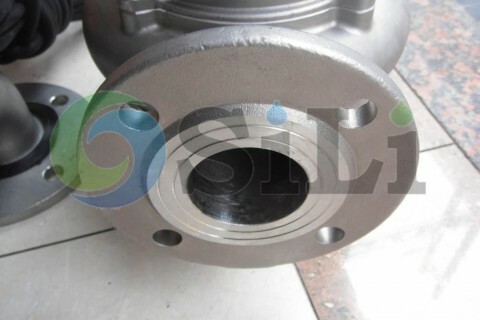 The maximum diameter of the solid grain going through the CQX submersible pump has not to be larger than 50% of that of the pump outlet flange. 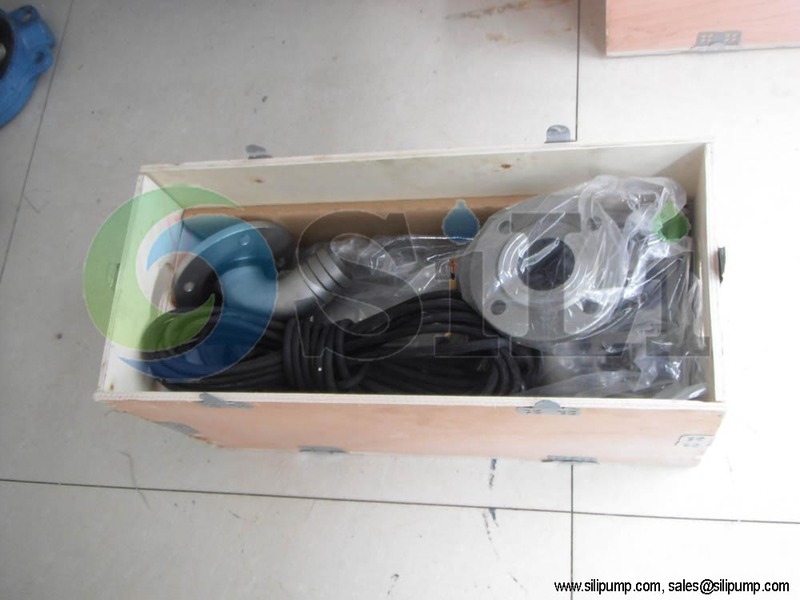 Refer to more details from right link onsides the pump catalogue, specification and manual. Refer to more pump information for CQX marine submersible pump.